That when government tries to play kingmaker in the markets is often disastrous is well known. Why is that the case? Well misallocation of capital is one reason: very often, the companies that government anoints are not very competitive. Another reason is false security: with the seal-of-approval of government, companies can excuse themselves for spending to high heaven on things they don’t need. 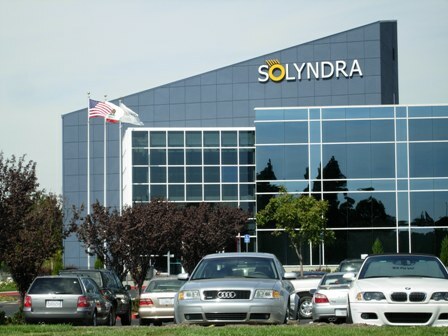 One anecdotal case is Solyndra. The glass-and-metal building that Solyndra LLC began erecting alongside Interstate 880 in Fremont, California, in September 2009 was something the Silicon Valley area hadn’t seen in years: a new factory. It wasn’t just any factory. When it was completed at an estimated cost of $733 million, including proceeds from a $535 million U.S. loan guarantee, it covered 300,000 square feet, the equivalent of five football fields. It had robots that whistled Disney tunes, spa-like showers with liquid-crystal displays of the water temperature, and glass-walled conference rooms. The building, designed to make far more solar panels than Solyndra got orders for, is now shuttered, and U.S. taxpayers may be stuck with it. Solyndra filed for bankruptcy protection on Sept. 6, leaving in its wake investigations by Congress and the Federal Bureau of Investigationand a Republican-fueled political embarrassment for the Obama administration, which issued the loan guarantee. About 1,100 workers lost their jobs. The sad reality is that had Obama not intervened, Solyndra might still exist. If it had not ramped up production with the government’s help, it might have realised that its manufacturing process was no longer cost effective, and modified it to be so. If it had not received the loan guarantees, it would have constructed its factory more frugally, significantly lowering overheads and lowering the chances of insolvency. Spending the government’s money that you haven’t earned on flashy facilities is very easy. Spending the money of investors — who are expecting a return, and will watch your every move (and sue you for misfeasance) — is considerably harder. So for me, solar is the future. Of course, there will be failures along the line. The story of capitalism is very much one of trying and trying and trying some more until a viable solution, product or system emerges. That’s why it’s a highly empirical and practical system. But it is not for the government to take the risk, and taxpayers that take the hit. Nor is it for government’s denizens to create palaces of the absurd. If Solyndra had failed in a less public and obnoxious fashion it would be just another startup that didn’t work out. Now, it might just stigmatise the solar industry in America for years to come. Companies that want investment for solar technologies will now find it harder to raise capital. I hope the next administration learns that while investing in basic science and a level playing field for ideas is fine, picking winners and losers in markets is dangerous and damaging. This entry was posted in Current Affairs and tagged bloomberg, crony capitalism, mitt romney, nouriel roubini, obama, obamanation, solyndra, the role of government. Bookmark the permalink. Very well noted. I am not really a fan of Ayn Rand but this is a great quote. Over 120 people associated with the Dept. of Energy, directly and indirectly, are now under criminal investigation by the FBI, DOJ, Treasury, OMB, GAO and multiple committees. What is coming out is that the DOE has operated as a CITADEL OF CORRUPTION and Secretary Chu should be indicted.